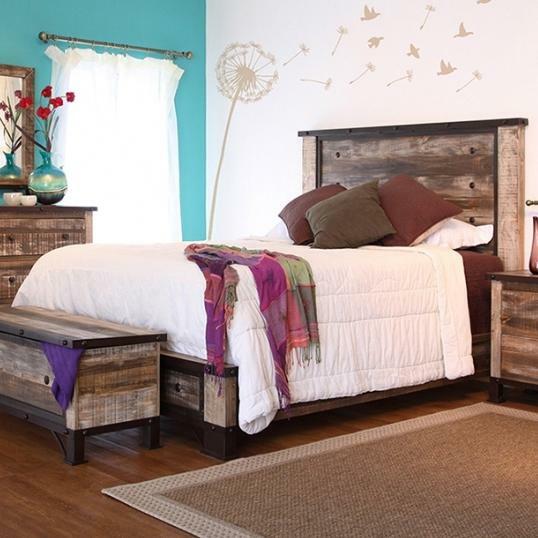 Add a hand-made artisan look to your home with this charming platform bed. 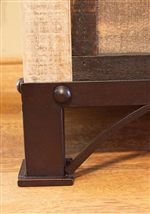 Supported by Solid hand forged iron feet this bed carries a rustic casual style. 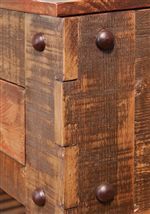 Plank construction is highlighted by the soft multi-colored distressed finish on hand brushed solid pine. Both the headboard and footboard are adorned with bold iron hand applied nail heads to complete the rich, earthy look. The 900 Antique Rustic King Platform Bed by International Furniture Direct at Miskelly Furniture in the Jackson, Pearl, Madison, Ridgeland, Flowood Mississippi area. Product availability may vary. Contact us for the most current availability on this product. 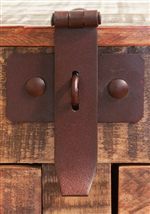 The 900 Antique collection is a great option if you are looking for Contemporary Casual furniture in the Jackson, Pearl, Madison, Ridgeland, Flowood Mississippi area.